Travel through time this holiday season with two new gift sets from BBC Home Entertainment that the whole family will can enjoy together. 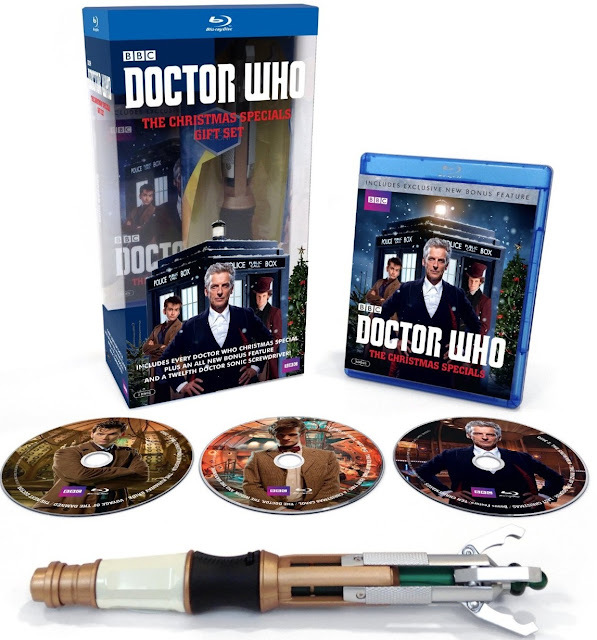 Whovians can follow the Doctor on a holiday adventure through all of the modern era Christmas specials with Doctor Who: The Christmas Specials Gift Set, available on DVD and Blu-ray on November 24, 2015. Dinosaur enthusiasts won’t need a TARDIS to travel back to the prehistoric era to discover some of history’s coolest creatures with three feature films in Limited Edition Dinosaurs DVD Gift Set available on November 17, 2015. 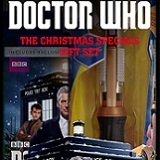 It just wouldn’t be Christmas without the Doctor, and now for the first time every Christmas special is available in one complete set. David Tennant (Broadchurch), Matt Smith (Terminator Genisys), and Peter Capaldi (The Thick of It) all take turns starring in a collection of exhilarating specials that set the Doctor rushing to save the world from a wide array of dastardly foes, including robot Santas, exploding Christmas trees, and an army of snowmen. 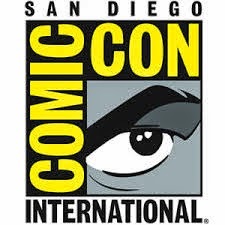 The specials include Tennant’s first full episode and the Doctor’s regenerations into Smith and Capaldi. In an exclusive bonus feature, British comedian and upcoming season nine guest star Rufus Hound embarks on a mission to discover what makes a Doctor Who Christmas Special so, well…special. From juggling tangerines to meeting a guest star from The Time of the Doctor, Hound journeys through Christmases past to showcase many of the greatest moments and monsters of the holiday season. This bonus feature also includes personal reflections from current Doctor Peter Capaldi and writer and executive producer Steven Moffat. 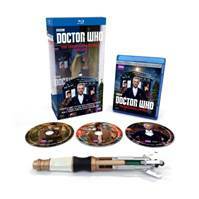 The gift set comes with a replica of the Twelfth Doctor’s sonic screwdriver. Travel back to prehistoric times and experience the wonders of ancient Earth with a collection of three dinosaur films from BBC Home Entertainment. Chased by Dinosaurs is a monstrous, Emmy® Award winning triple feature from the creators of Walking with Dinosaurs that takes viewers around the world and brings the lizards of the past to life. Journey back to the sand dunes of Mesozoic Mongolia and discover the therizinosaurus, a gigantic dinosaur with enormous 28-inch claws in The Giant Claw; travel to South America’s Patagonia and see the animal kingdom’s most awesome hunt in Land of Giants; and go back 150 million years in a stunning recreation of the life of “Big Al,” the dinosaur whose complete fossil skeleton was discovered in Wyoming inAllosaurus. Bonus material includes “Big Al Uncovered,” a 30-minute look at the science behind Allosaurus. Extreme Dinosaurs is a dino double feature that will challenge a number of the previous perceptions of the Tyrannosaurus Rex. In Extreme Dinosaurs, accompany Paleontologist Dr. Philip Currie as he searches for evidence of a fiercer predator than the T-Rex – the Argentinosaurus, a six-ton flesh-eating dinosaur; and in T-Rex: Warrior or Wimp, watch as the T-Rex’s reputation as the meanest, most bewitching dinosaur comes into question. Predator Dinosaurs uses innovative techniques through biomechanics, CGI, special effects and hi-tech scans to provide an insightful look at dinosaurs and challenge theories about the prehistoric world. The giftset includes a viewfinder full of 3D dinosaur images and instructions on how to upload new images to create your own 3D viewfinder reels.